Polepally farmers reject fake house deeds ! Today farmers held a dharna (protest) in front of RDO office with the so called ‘house pattas’ thrust on them on Saturday. About hundred villagers threw the ‘pattas‘ (land deeds) and told the officials that they cannot be cheated with cheap tricks. Pictures from Polepally SEZ. 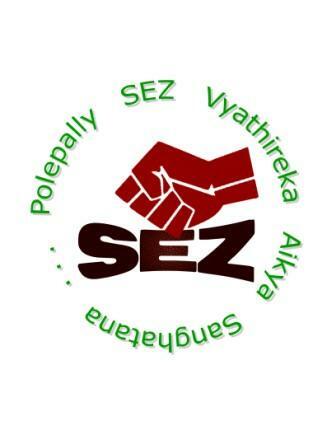 The Andhra Pradesh State government has forcibily acquired about 1000 acres of farm land from poor, illiterate dalit and tribal farmers for setting up an SEZ. These are some pictures telling their stories. The Comptroller and Auditor General’s report for year 2007 has severely criticised the Andhra Pradesh state government for misleading the central government with respect to the Polepally (Jadcherla) Pharma SEZ. The report validates the claim of protesting Polepally farmers that the state government has not acted in a transparent manner in land acquisition for this SEZ. 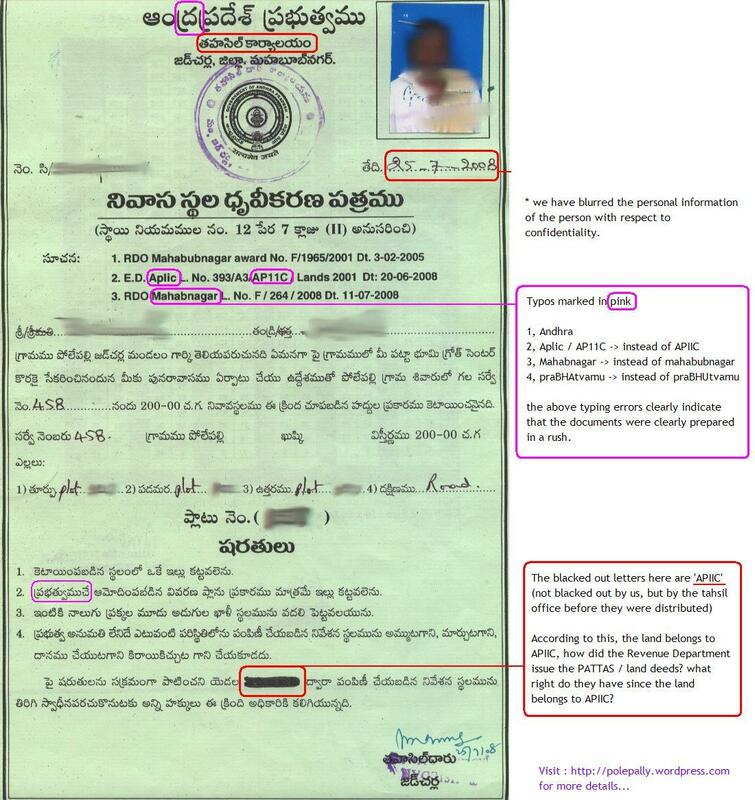 జులై 7, 2008 నాడు APIIC ఆఫీసు ముందు పోలెపల్లి సెజ్ బాధిత రైతుల సత్యాగ్రహం వీడియో. Displaced farmers of the Jadcherla Green Industrial Park (Polepally SEZ) staging a protest in front of the APIIC Headoffice in Hyderabad.